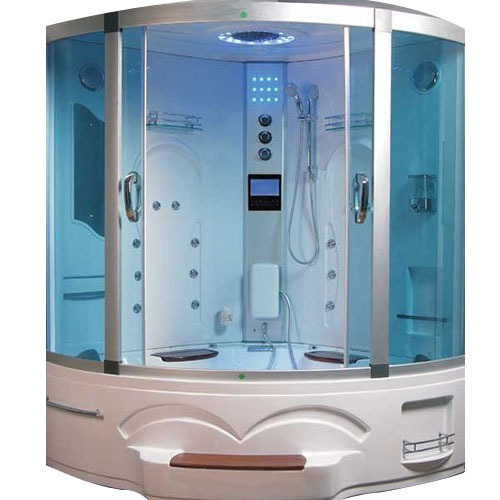 Our company has created niche in the field of offering Shower Room. Started in the year 2006, we, "Ritveyraaj Cargo Shipping Containers", are one of the renowned manufacturers, suppliers, and exporters of an extended collection of Shipping Containers and Bunkhouses. Our product assemblage comprises of Aluminum Ingot, Aluminum Billet, and Commercial Bunkhouse. All our offered products are manufactured by following the set industry parameters. These offered products are highly appreciated in the market for their high strength, perfect finish, strong construction, light weight, corrosion resistance and durable finish standards. Moreover, we are offering these products in the various designs, sizes and patterns. With the help of our well-equipped infrastructure facility, we are manufacturing our offered range as per the industry set norms. We hired a group of talented and experienced personals. To achieve our firm goals and objectives, our professionals are working in close coordination with each other. Our proficient team members maintain and store the all manufactured product in a systematic manner. Along with this, we export our products across the globe.